When you sign up with EarlyWorks we’ll help you to get started straight away. 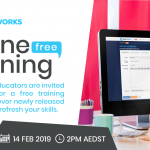 Our EarlyWorks Education Specialists are available to answer your questions, walk you through key features and show you how to personalise the software to suit your context. In addition to personalised training and support, our Education team host training webinars, open to all EarlyWorks educators, focusing on different EarlyWorks features and how they relate to the National Quality Standards. All webinars are recorded and can be viewed on demand. Join us for this one-hour long webinar and discover how to evidence the planning cycle in EarlyWorks. Our EarlyWorks trainer will also show you how to get the most out of the Daily Communications screen. Learn how to use Program Comments, Reflections of Pedagogy and Evaluation of Experiences to demonstrate that critical reflection drives program planning and implementation in your service. Families are invited to learn more about EarlyWorks. During this webinar our Education Specialist will show families how to engage with the service via EarlyWorks’ commenting functions. 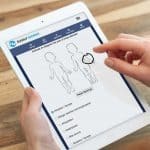 Make the most of EarlyWorks’ commenting functions and discover how input from colleagues and families can be used to inform the planning cycle. Learn how to add QIP strengths and improvements, build your QIP evidence list and generate the QIP in EarlyWorks. According to ACECQA, the QIP should involve all relevant stakeholders: educators, managers, children and families. Find out how to include evidence of collaboration in your EarlyWorks QIP. Out of school hours care educators and service providers are arguably the quiet achievers in the education and care of our children. During this hour-long webinar, our Education Specialist will show OSHC educators how to evidence the planning cycle in an OSHC context, using the My Time, Our Place framework. Our trainer will also show you how to get the most out of the Events Calendar, including adding tasks, checklists and events. We are constantly adding and improving features in EarlyWorks. Let our Education team take you through some of the new functions that we’ve added this year and how to get the most out of them.